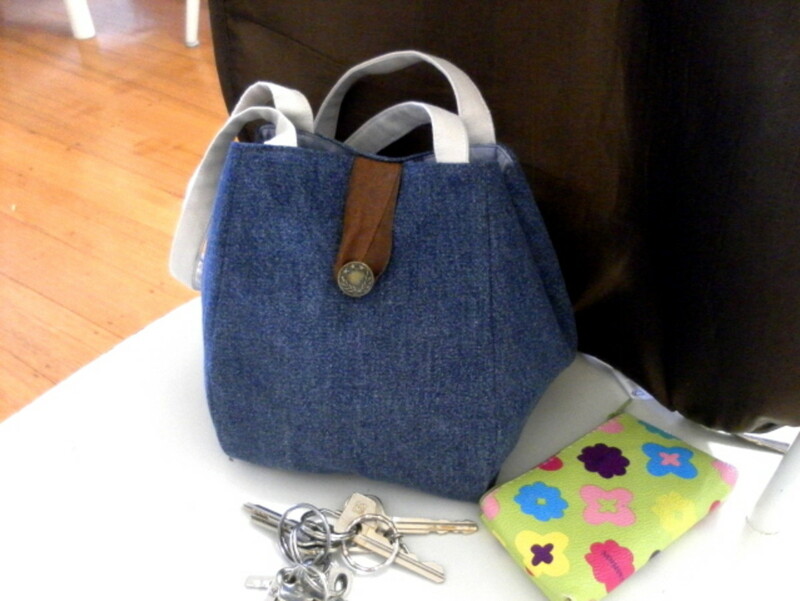 I got this Noriko bag pattern from Lazy Girl Designs a while ago. One lazy afternoon, I finally decided to bring out my sewing machine and try making some creative handmade things including this Noriko handbag. 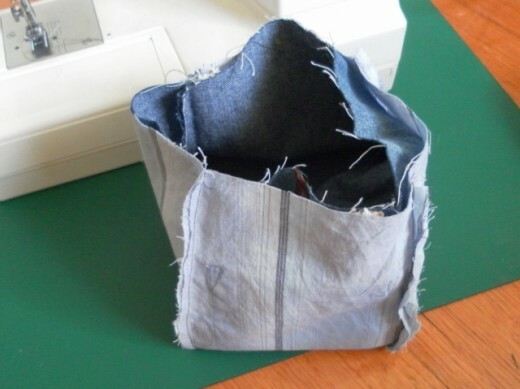 With a sewing machine and some basic sewing skills, this bag is easy to make. 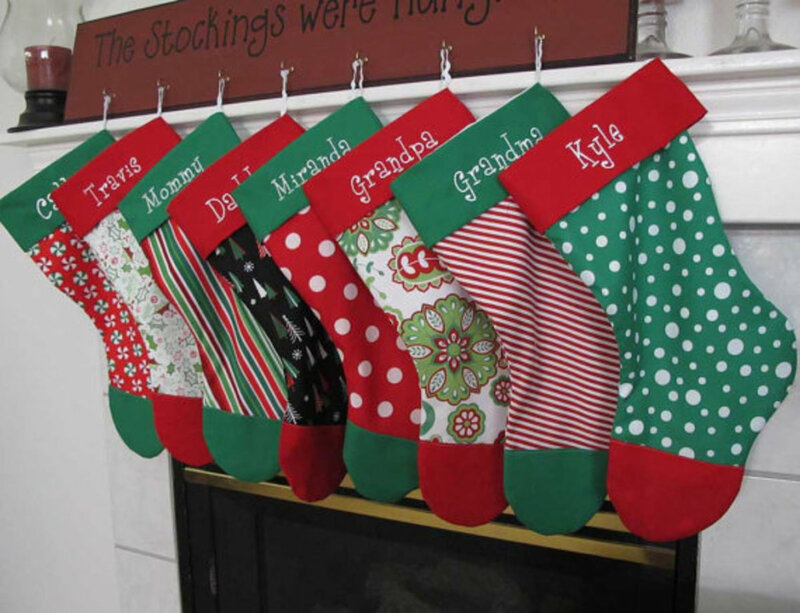 It is a great project for the weekend and only takes a couple of hours to complete. What makes this pattern interesting is that there is only one single pattern piece to make this amazing Noriko Bag. 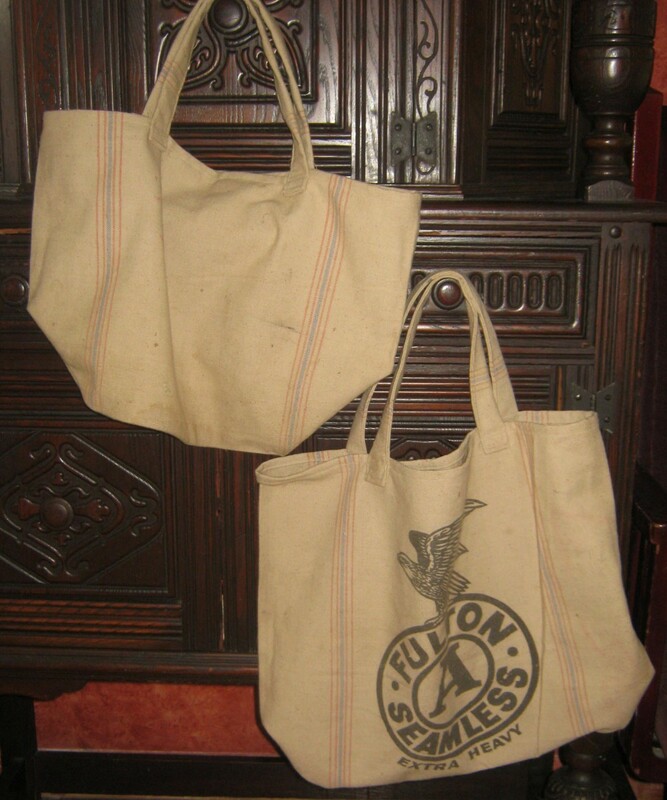 The same pattern piece is used for all sides of the cover and lining of the bag. There is a tassel to be attached to the bottom of the bag but I decided to omit the tassel for my project. For this project, I decided to recycle some of the materials that had been lying around the house. Recycling not only saves the environment, but weekend projects like this will cost next to nothing to make. 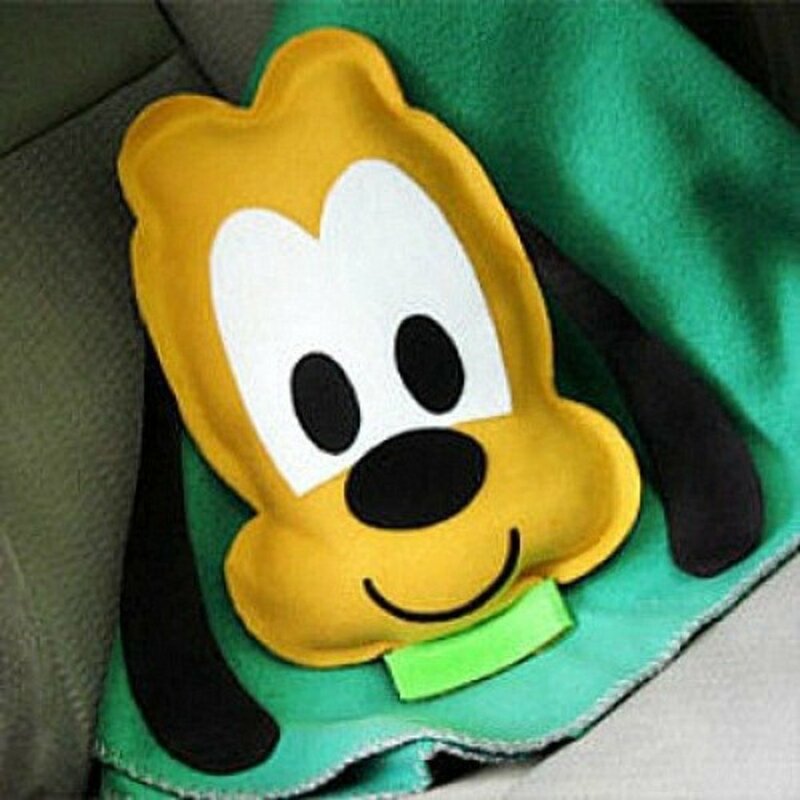 How wonderful is that! 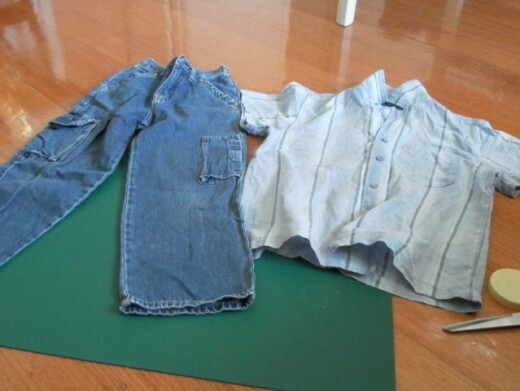 I found an old pair of child's denim jeans for the cover, a soft light blue cotton shirt for the lining and strips of plain beige colour fabric for the handles. I was ready to start on my sewing project. 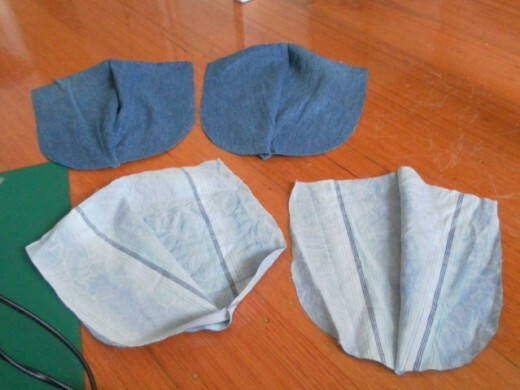 With the one-piece pattern, all I had to do was pin the pattern to the fabric and cut out 4 pieces for the cover and another 4 pieces for bag lining. 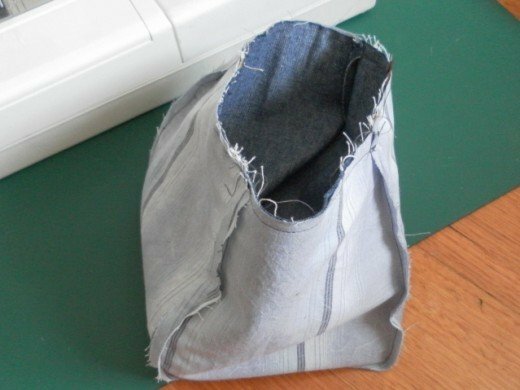 One of the lining pieces I used had a shirt pocket, which will be a ready-made side compartment inside the bag. 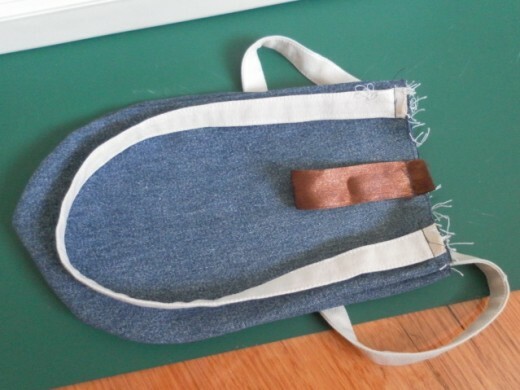 The other materials required included a 16cm of ribbon for the button loop and one jeans button. With right sides of cover facing each other, sew one side of the edges together with seam allowance of 6mm. Repeat with the other two cover pieces. Sew lining pieces following the same instructions as for the cover pieces. 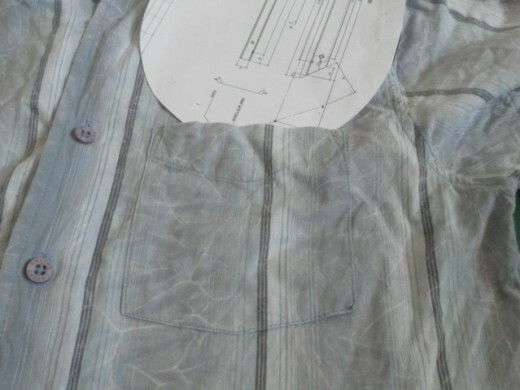 Press the seam allowance for the cover and lining pairs before proceeding to the next step. 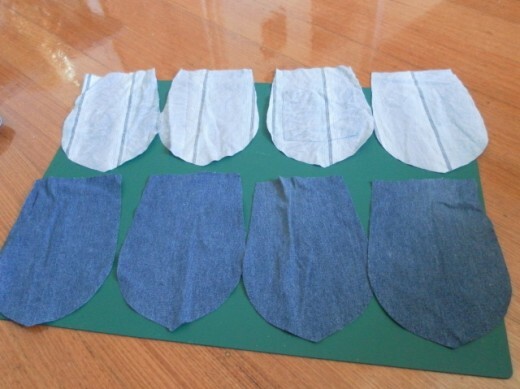 With right sides together, match the cover pairs and sew the side edges together. 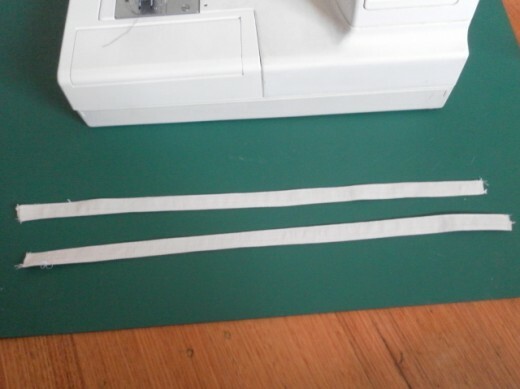 Similarly, match the lining pairs and sew the side edges together but remember to leave an 8cm opening on one edge. 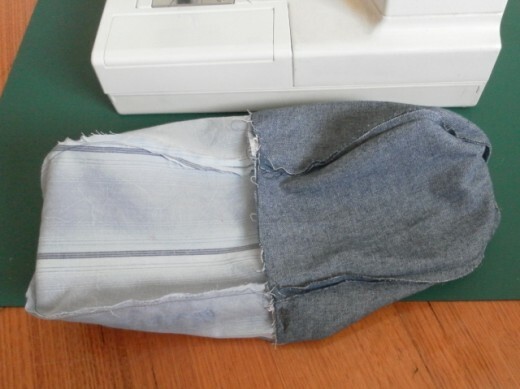 Press the seam allowance. 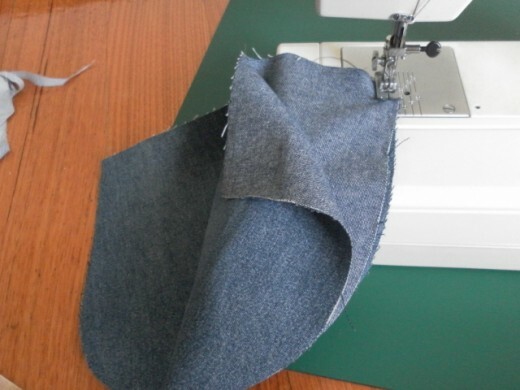 With the cover right sides out, fold the sides in toward the centre of the bag and press to flatten the bag. 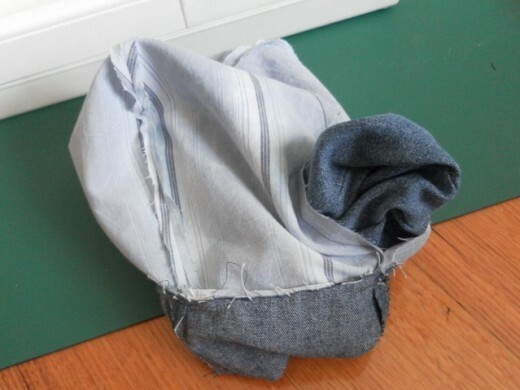 With the lining wrong sides out, fold the sides in toward the centre of the bag and press. Match the ends of the handles to the top corners of the bag for both front and back cover. Stitch to secure the handles. Stitch the ends of the ribbon to the centre top of the bag. 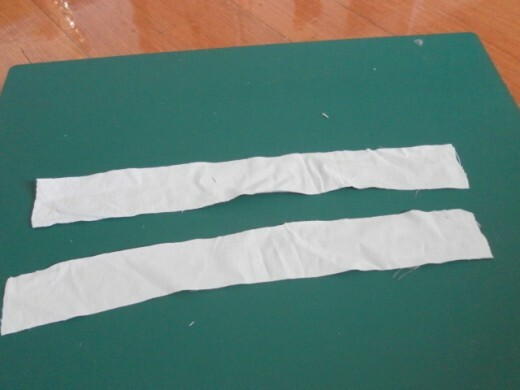 With right sides together, place the cover inside the lining, with the handles and ribbon between the lining and cover. Match the top edges of the lining and cover together, and stitch. Backstitch the handles and ribbon areas to make them secure. 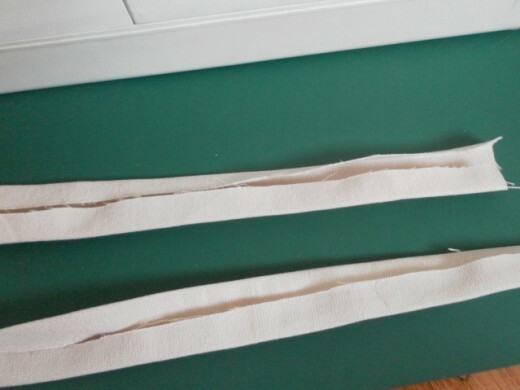 Pull the cover out of the lining and press the seam allowance at the top edge towards the lining. Turn the right sides out through the opening at the side seam of the lining. Tuck the lining into the cover. Press the top edge of the bag and topstitch around the top of the bag. 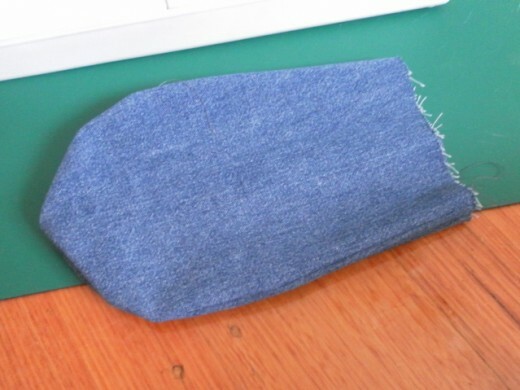 Reach in through the lining opening and place a small piece of fabric behind the cover where the jeans button stud is to be placed. 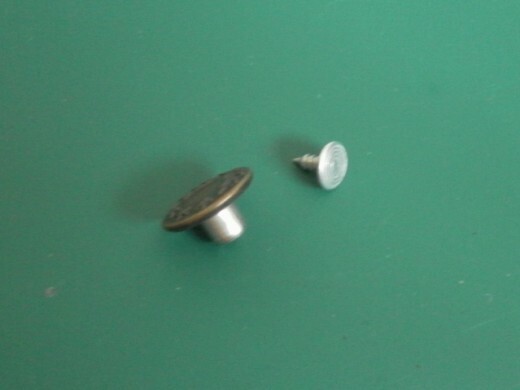 Secure the jeans button to the stud with a hammer. Stitch the lining opening to close it. 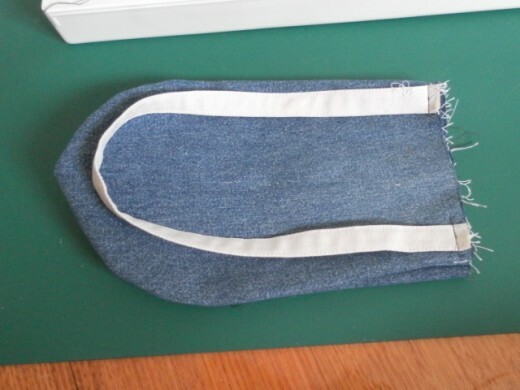 Align the lining to the cover, tuck in the sides and press to form the shape of the bag. It took me less than two hours to make the bag. 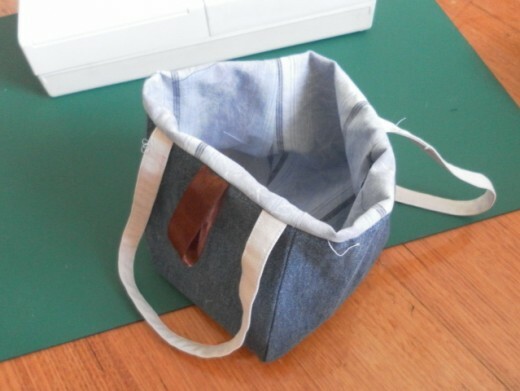 Here is how my Noriko bag looks like when the sides are folded and tucked in. 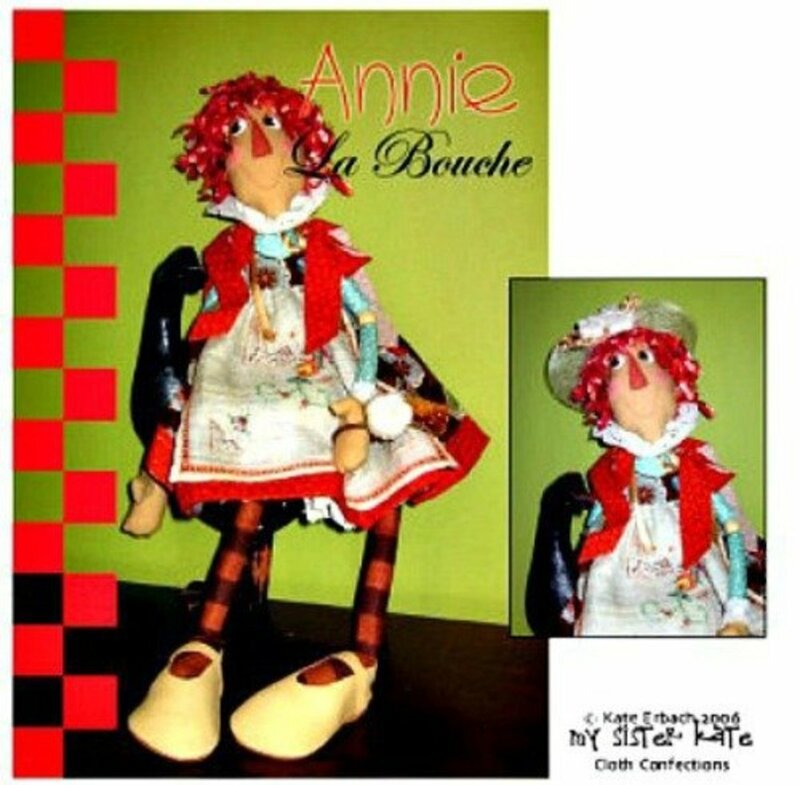 Looking for another sewing project? This is a popular paper strip folding activity. 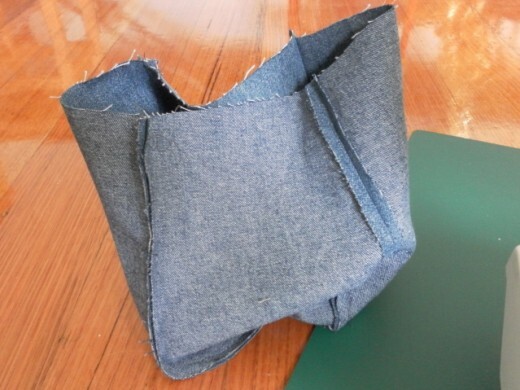 It is one of the easiest origami to learn and it is addictive too. Teach the children how to make lucky stars and they will be busy for hours and hours. peachpurple, thank you. I hope you'll get to make your own Noriko bag too. Thank you for voting and commenting. sparkleyfinger, this Noriko handbag is so easy to make, I hope you get to make one soon. Thank you for your kind comment. RTalloni, I am glad you like this tutorial. 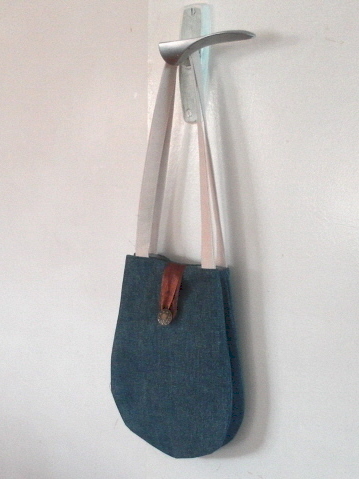 I am sure your students will enjoy making their own handbags too. Thank you for stopping by to leave comment. Nice bag you've made! 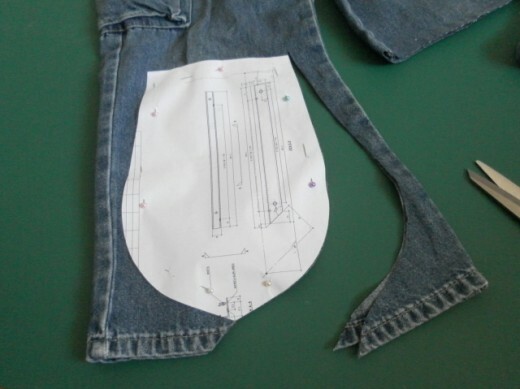 This is a great tutorial for me to show to young sewing students--thanks! Thanks. I have other sewing hubs too. Awesome tutorial! Thanks for including the step by step pictures. 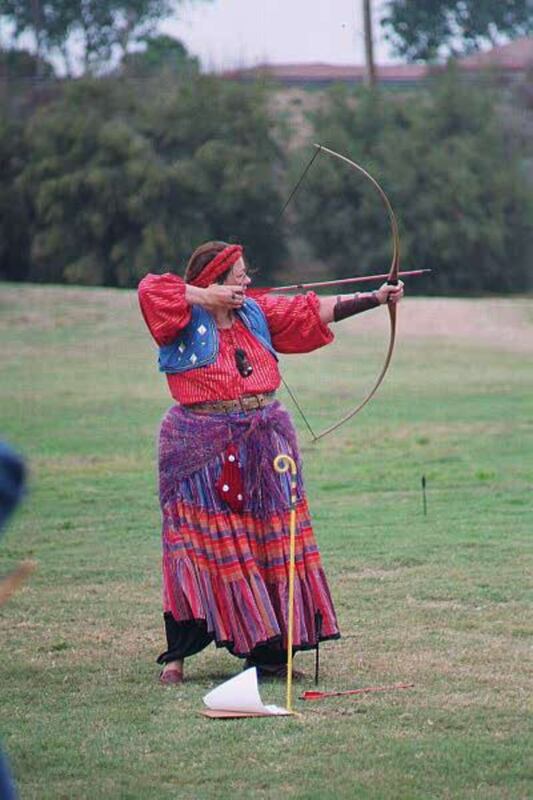 Lady Guinevere, thanks! You have written a great hub on the sewing machine. Cheers. I am linking this hub with my Choosing a Sewing Machine and Learning to Sew hub. 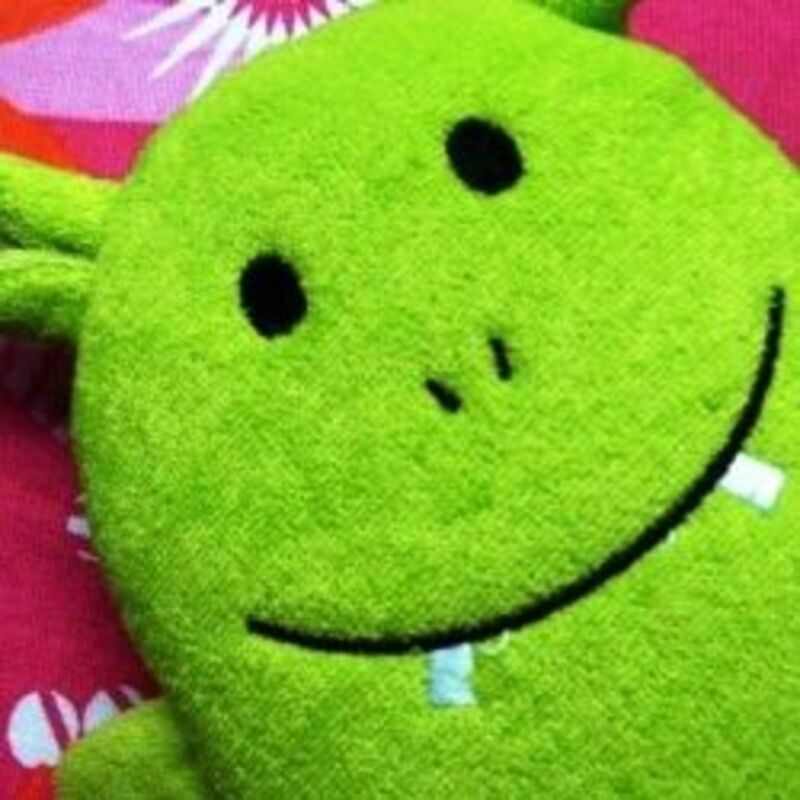 twocuriousgeorge, this is an easy project and great for beginners, too. Thank you for stopping by. Cheers.